Thursday morning started very early with all of us meeting for a breakfast while Shelli gave us our instructions for the day. With breakfast in hand and my schedule in the other, I trekked off to my classes for some great information. How pretty, hey! I was able to purchase the matching wallet later in the evening from Memento Mall along with some other things. I’ve already moved everything over to this bag so it can be my purse for a while – it’s too sweet! The afternoon was filled with more information being thrown at me than my little brain could comprehend in one day!! Really great information though!! One of the highlights of any Stampin’Up! conference has to be Memento Mall where demos can purchase Stampin’ Up! logo merchandise – remember the wallet? This pretty travel mug also founds it way into my shopping bag along with some bookmarks and a purse holder. That got my blood flowing again!! 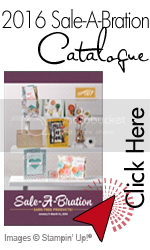 I’m so excited to use this set and punch, Build a Blossom set and Blossom Petals Punch found in the new Occasions Mini Catalogue! Hi Natasha – I am finally getting around to checking out websites that I have on the back of my Leadership Swaps! 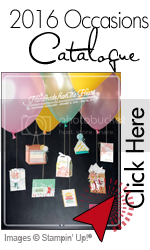 Loved your cupcake on the cake stand card – it was a hit with my crew here at home also! Sorry we didn’t get a chance to chat but glad we got to swap! And I loved the “tea” rific card as well!